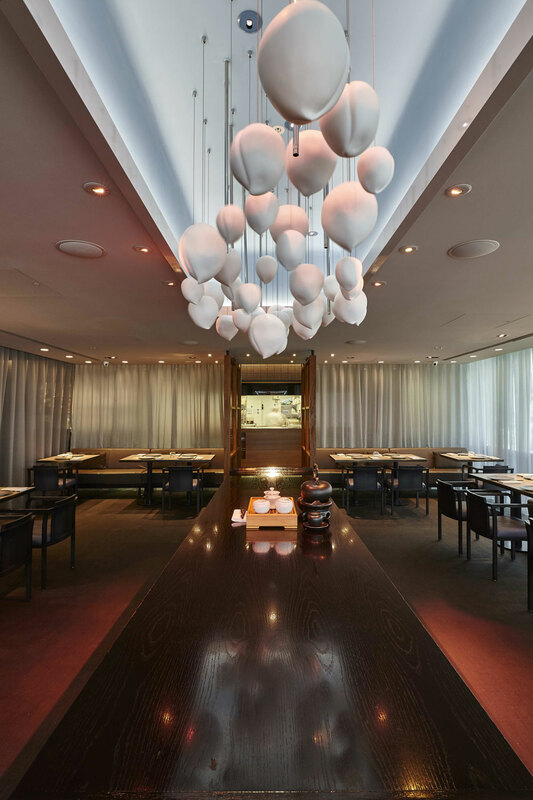 HKK offers bespoke Cantonese fine dining from the latest restaurant by the Hakkasan group that won a Michelin star with their original restaurant. 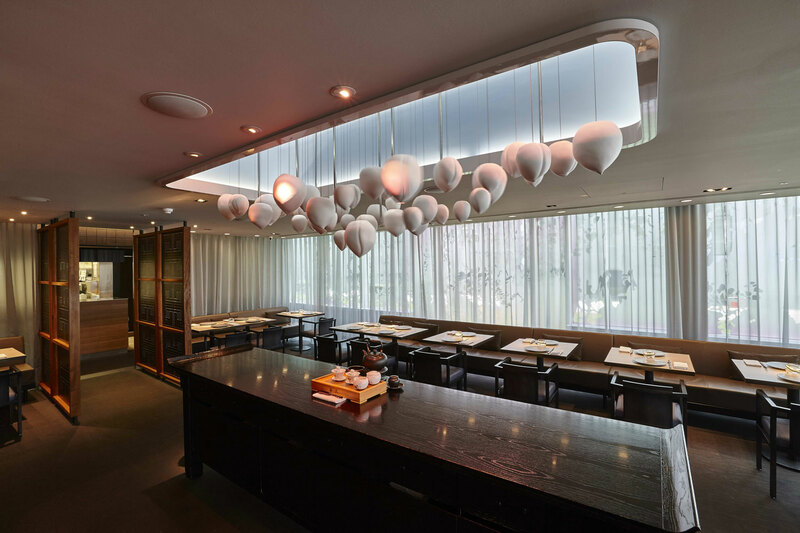 Diners occupy a classic, minimalist dining room with a central serving plynth with sculptural porcelain peaches suspended above. 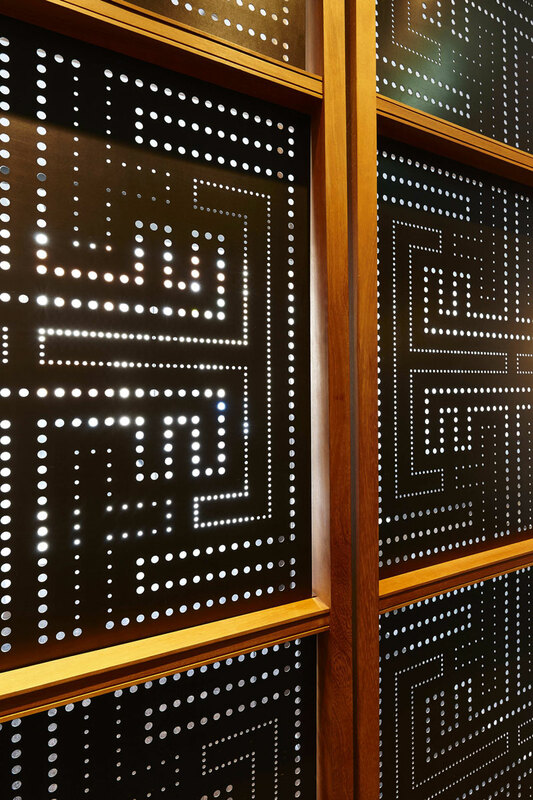 Private dining is provided in a lavish, mirrored room with sumptuous bamboo glade wallcoverings illustrated in the commercial photography. 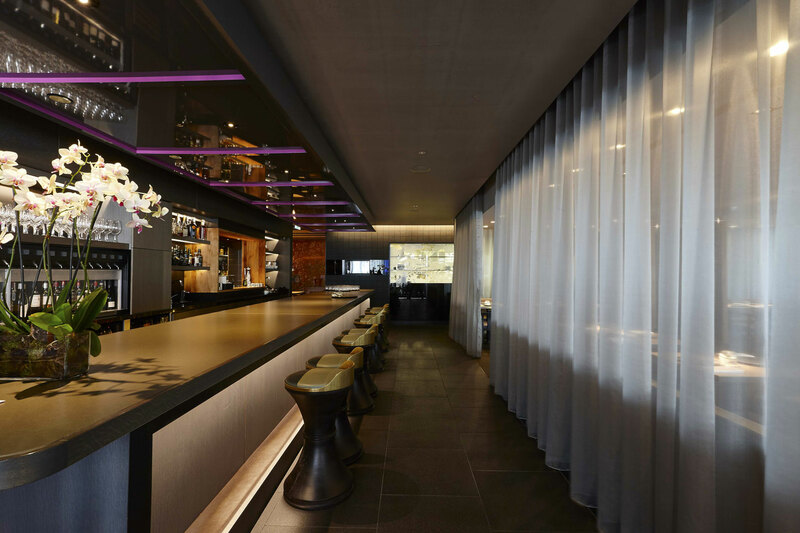 The interior photography shows how the bar is particularly atmospheric with subtle lighting and lavish pierced screens. 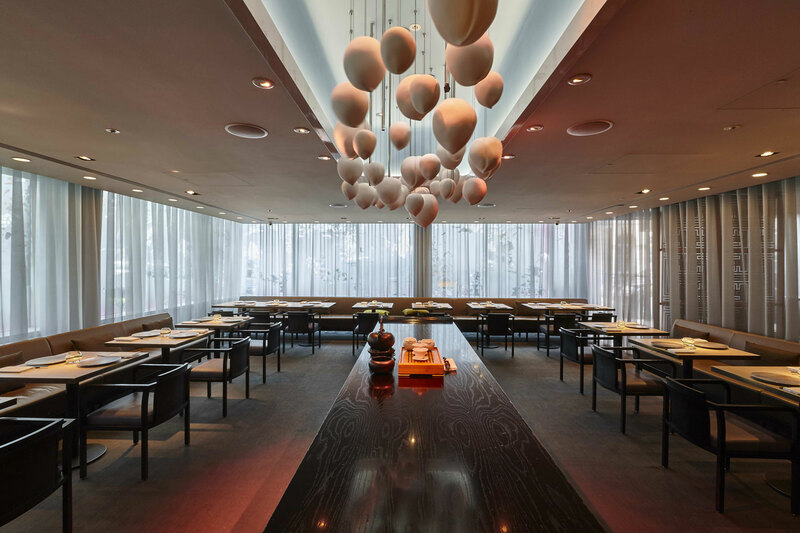 This restaurant illustrates the emotional effect that cleverly designed, subtle lighting can create within a this kind of luxurious space. 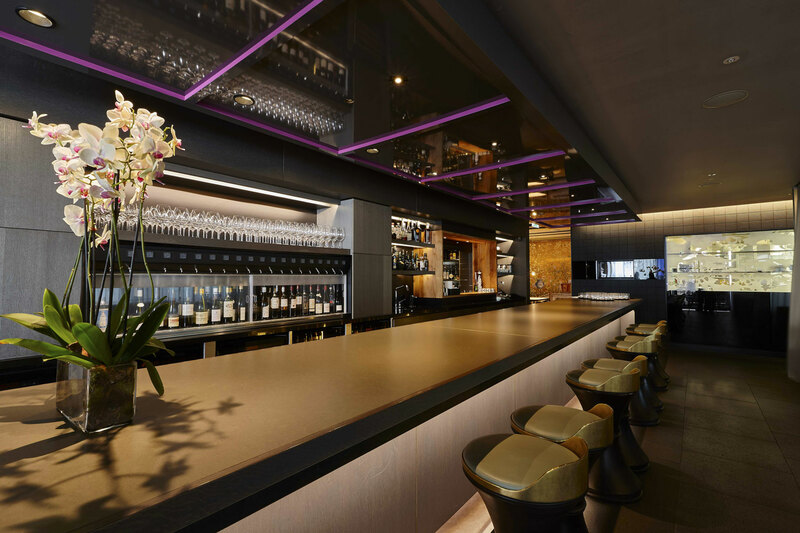 The bar area is atmospheric for a relatively narrow space thanks to the discreet downlighting and feature lighting behind the bar shown captured by an interior photographer london. HKK offers ‘bespoke Cantonese fine dining’ using the best and freshest ingredients used in contemporary dishes based on proud traditional recipes. 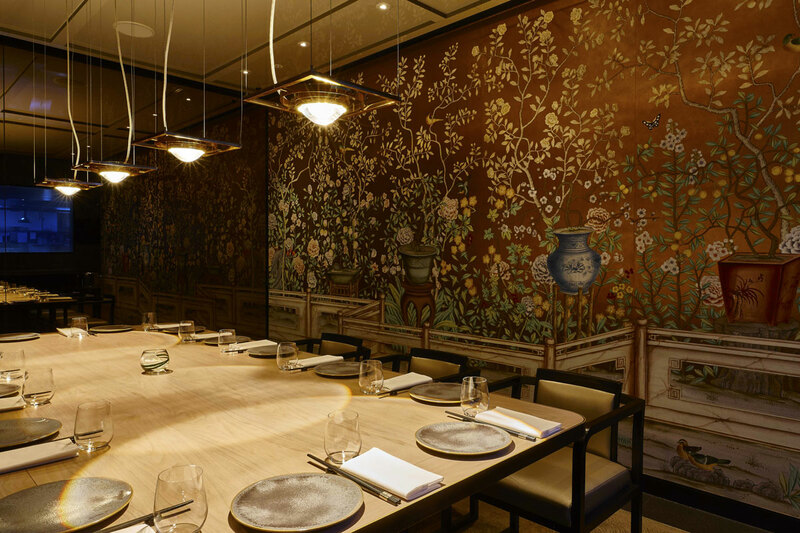 The restaurant is an outlet for the Hakkasan group that won a Michelin star with their original restaurant.